Bill Hart is Head of Discipline, Art and Lecturer and Head of Studio (Time Based Media) at the School of Creative Arts. Over his career he has explored the application of new technologies to the visual arts through digital image making, robotic drawing, animation with generative systems. He is particularly interested in the power of art as a methodology for synthesizing gestalt understandings of language and cognition. Before joining the University of Tasmania, Bill studied theoretical physics and worked for the CSIRO Division of Oceanography as a numerical modeller and systems administrator. 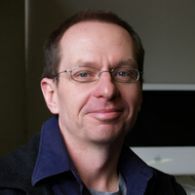 Since joining the University of Tasmania, he established undergraduate courses in 'Computing in Art', founded and coordinated the Digital Art Research Facility from 1995 to 2001. In 1998 he won the prestigious Sapporo International Print Biennale, and has exhibited digital prints both nationally and internationally. In 2000 he has been developing and teaching courses in Electronic Media encompassing physical computing, interactivity, animation, video, digital imaging, and rapid prototyping. From 2002-2008 he undertook a PhD exploring the creative potentials of software art. Bill has been involved in several course design exercises, in particular the generic degree structure of the Bachelor of Fine Arts and the Bachelor of Visual Communications. He has developed numerous undergraduate units, with a particular focus on creative engagement with technology. Bill's research aligns to the University's research theme of Creativity, Culture and Society. His research interests are focused on the application and exploration of the creative potentials of new technologies to the visual arts, with a wider consideration of their impacts upon individual expression and cognition. Drawing Machines – developing mechanical and software processes for constructing and rendering images using lines and curves. Tasmania has significant socio-economic challenges, with the lowest level of educational attainment in Australia. Tasmania has experienced persistent underperformance in the transition to Year 10 and subsequent retention rates to Year 12 (Stratford, Field, Oliver and Ambrose, 2016, p. 4). It is estimated that Tasmania is 10,000 tertiary enrolments behind the next lowest performing state, with significant challenges in encouraging students to complete Years 11 and 12 (in 2011 the retention rate for Year 12 was 78.2%, compared with 84.1% nationally [http://www.dpac.tas.gov.au/divisions/csr/]). At the same time, Tasmania is host to arguably the most vibrant interdisciplinary creative community in the country, as exemplified by exhibition, festival and community projects supported through MONA (including 24 Carrot Gardens) and other island-based creative and education industries (such as Bitlink); and, outstanding examples of secondary school STEAM education across the state (Newstead College, Launceston; Rosny College, Hobart). These resonate with UTAS initiatives such as the Collab Lab (Makers Workshop, Burnie); A Lab (Melville Street, Hobart); the major new infrastructure development represented by the Hedberg (Hobart); the Creative Exchange Institute (CXI); and, the overarching goals of the Peter Underwood Centre.STEAM can be broadly defined as including the arts, here creative arts, in the delivery of traditional STEM disciplines. STEAM Horizons: Engagement and attainment through interdisciplinary education will explore models for STEAM education in secondary education in Tasmania, and resulting pathways into tertiary education. It will address the questions: what forms of educational design supportsuccessful (interdisciplinary) STEAM education; and, how can educational attainment be enabled through STEAM pathways?The project will directly build upon the successful Office of Learning & Teaching Innovation & Development grant Benchmarking quality assessment tasks to facilitate interdisciplinary learning in the creative arts and humanities (2014-6; AUS$199,000) on which Wise was a CI (previously Lead Researcher), supported by Dr Wendy Fountain, to extend the application of those findings into secondary education, wider disciplinary networks, as well as the specific interdisciplinary field of STEAM education.